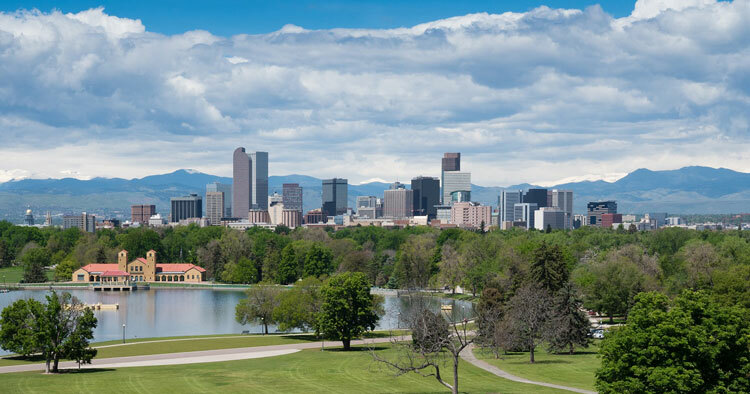 Denver — The CH2M Foundation announced a new grant to Colorado State University (CSU) with a client-centric, sustainability and career-focused approach. Through a grant of $50,000 to the CSU National Western Center Sustainability Team and the CSU Water Fellows Program, the CH2M Foundation is investing in STEM education, while continuing the company’s long-time commitment to sustainability. CH2M is also reinforcing the work of many of its clients: the National Western Center, City and County of Denver, CSU and the Western Stock Show Association and Denver Water. “The CH2M Foundation continues to partner with charitable initiatives that demonstrate our shared values with our key clients,” said Ellen Sandberg, executive director of the CH2M Foundation. The first part of the grant, $37,500, will go to CSU’s National Western Center Sustainability Team. This team is helping develop a campus that addresses innovations in water, energy, food systems, health and recreation, and improves the natural environment, while working toward goals like “net zero” energy. The work is occurring in two phases over three years. During Phase I, the team focused on energy, waste and water system analysis and recommendations. Phase 2, beginning in fall 2017, will continue energy and water modeling, and will also integrate urban ecology, river restoration, air quality, community health, education and integrated design and organizational behavior. The Gates Family Foundation provided a matching grant of $75,000 for the second phase, so CH2M’s $37,500 grant will be matched. The second part of the grant, $12,500, supports the CSU Water Fellows program. First-generation CSU students from diverse and often underrepresented backgrounds team with high school students from neighborhoods around the National Western Center to spend several months working on water issues. Gaining leadership and organization skills, the water fellows do outreach to the neighborhoods about water issues. CSU’s presence at the National Western Center will be initiated at its Water Resources Center. As one of the first buildings to be constructed at the National Western Center, the Water Resources Center will host multidisciplinary, year-round programs such as these, which will draw tourists, K-12 students, water professionals and researchers, water conferences and community members. CSU and the National Western Center are working closely with Denver Water to create collaboration at the Water Resources Center around education, innovation, policy and research. “This foundation grant leverages local funding, making the value of our charitable donation grow to $87,500 and thereby ensuring even greater success of the program,” according to Patrick O’Keefe, CH2M’s program manager for the National Western Center’s construction and buildout. The National Western Center program is off to a fast start, with a kickoff event for physical work on November 1, 2017. This will begin a rapid period of removing old structures and replacing them with a multiuse community assets that will serve as focal points for agriculture, entertainment and educational programs.